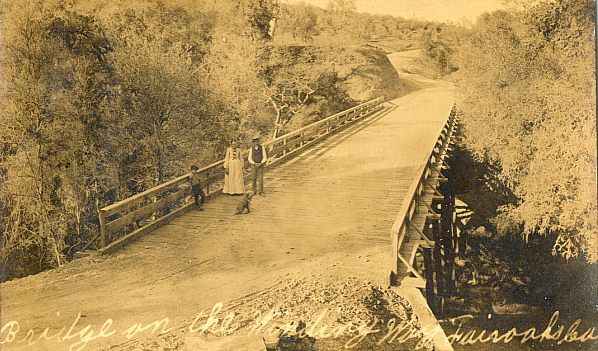 The first bridge on Winding Way over the gully near Chicago Avenue, facing east about 1905. 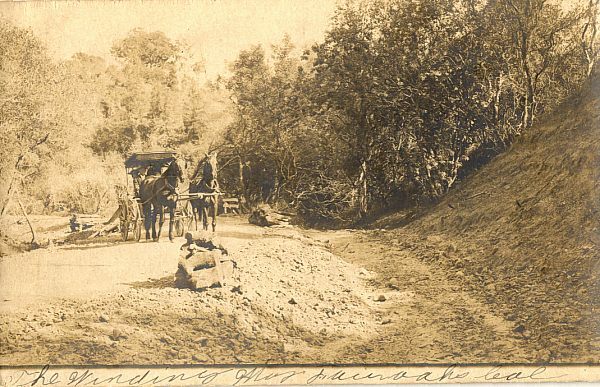 Winding way, not sure where, but east of town, taken about 1910. 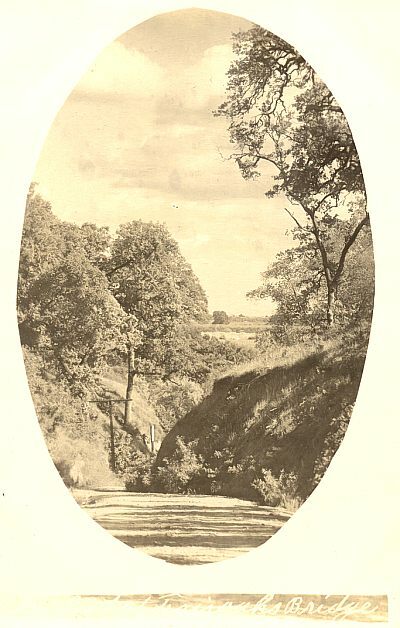 Bridge Street going south, about 1909. 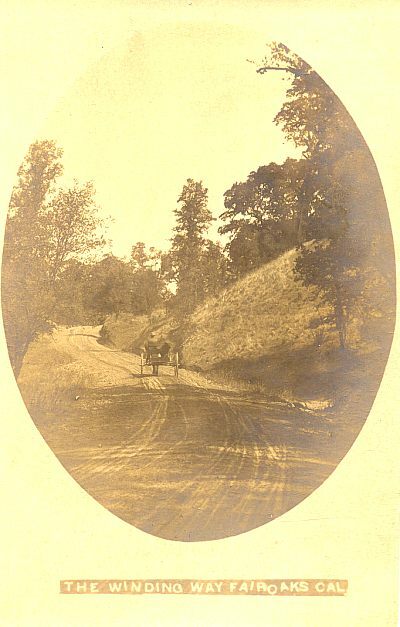 Winding Way, somewhere east of the town of Fair Oaks. 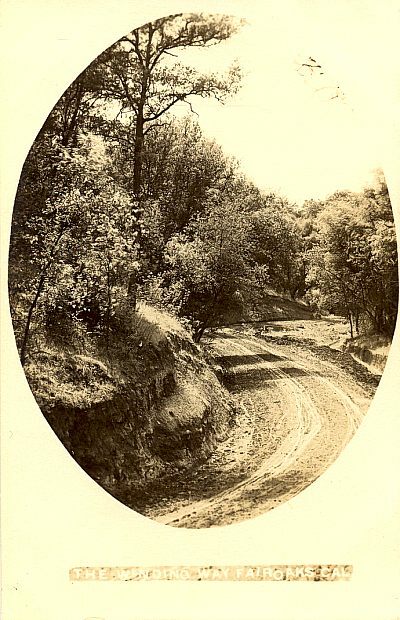 Winding Way, east of the town of Fair Oaks. 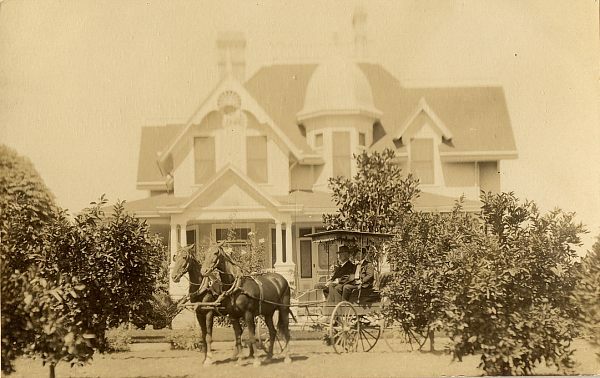 The George Straith House, built about 1902. The property is at the end of Earnscliff Avenue on the East side. 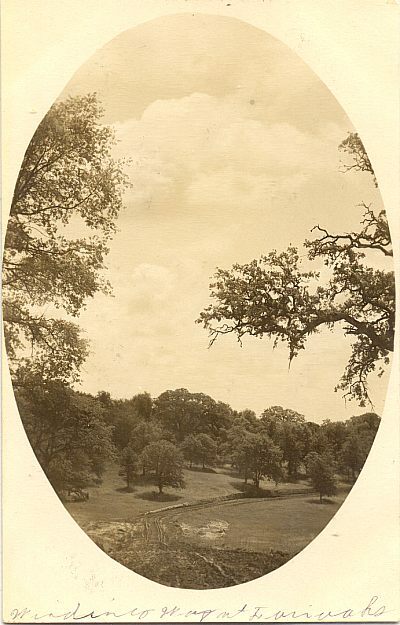 Photo taken about 1910 from the bluffs at end of Earnscliff Avenue looking north.